Many Millions of Americans Work and Shop at Walmart. So, Why Does Bernie Sanders Want to Stop Them? Sen. Bernie Sanders is back again, with yet another attempt to indirectly mandate the $15 an hour minimum wage. It’s called the Stop WALMART Act, or Stop Welfare for Any Large Monopoly Amassing Revenue from Taxpayers Act. It would affect large (500+ employees) companies, and among other things would prohibit them from buying back stock unless they pay employees at least $15 an hour. (For a discussion of why big companies sometimes buy back their own stock, click here). 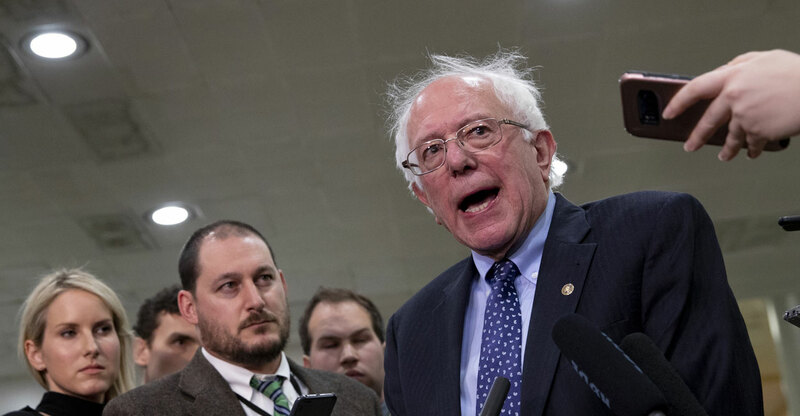 Taking to Twitter, Sanders, I-Vt., attacked the Walton family specifically. Walmart is an obvious target for the democratic socialist: The company’s total revenue in 2018 was a cool $500 billion, and it employs more than 1.5 million people in the U.S. alone. Socialists like Sanders are eager to portray big corporations as the epitome of capitalism’s evil, but in reality, companies like Walmart do a lot of good for regular Americans. Walmart reported in 2016 that a staggering 140 million Americans visited Walmart—in store or online—every week. Clearly, the American consumer values Walmart greatly as a resource for maintaining and improving their standard of living. In 2007, research showed that Americans save $2,500 each year due to “the effect of Walmart on the total economy.” For American consumers as a whole, that amounts to about $287 billion of savings per year. To fully understand the scope of this savings, consider that the entire gross domestic product of Finland in 2017 was only $259 billion. Furthermore, after the passing of the Tax Cuts and Jobs Bill Act (which Sanders voted against), Walmart actually raised wages on its own. It’s not the government’s place to legislate how companies invest their profits. While the drive to improve benefits and wages for hourly workers is laudable, ultimately labor market competition is the biggest driver of wages and benefits. With unemployment rates at historic lows, Walmart and other major retailers will need to (and many have) increase wages and benefits to retain and attract employees. Lower taxes enable companies to reinvest profits back into them—and their employees. By providing bonuses, increased starting wages for hourly workers, and expanding leave benefits, Walmart showed the value of lower corporate taxes to its workers. There’s no doubt that Walmart’s growth advances its interest as a corporation and profits for its shareholders, but it also provides employment and savings for millions of American consumers. The interests of producers and consumers should not be considered mutually exclusive. Government overreach into corporate decisions—where to locate stores, how to organize supply chains, how much to pay employees (entry level to CEO), or when to buy back stock—ignores the expertise of industry officials and the preferences of consumers as revealed in a competitive market. Whether they have experience or not, government officials have no business being involved in such decisions. The post Many Millions of Americans Work and Shop at Walmart. So, Why Does Bernie Sanders Want to Stop Them? appeared first on The Daily Signal.